Where Should I Eat Near Penn Station? | Good. Food. Stories. 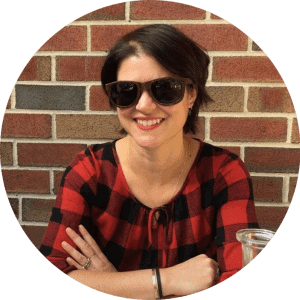 I spend a lot of time fending off well-intentioned but time-consuming questions about what’s good to eat where in New York. While my knowledge is vast, it’s far from encyclopedic, and let’s face it, I end up eating at the same five places anyway. But the question that hits near and dear to my heart as a New Jersey commuter is “what restaurants near Penn Station do you recommend?” Sure, there’s always Tracks, and a Shake Shack slated to open shortly, but even the Shack could be considered a desperation grab when you’re in the rat warren of Penn. Do you really want this underground suckhole to be your dining destination? Luckily, the food options within walking distance of Penn Station (and Madison Square Garden) have drastically improved in the past few years. The basic pre- and post-game spots like Mustang Harry’s and Stout are still around, but for actual plates of food and bars that are truly pleasant to perch at, there’s much more. Here are my top spots for real meals, snacks, or drinks near Penn Station any time of day or night. 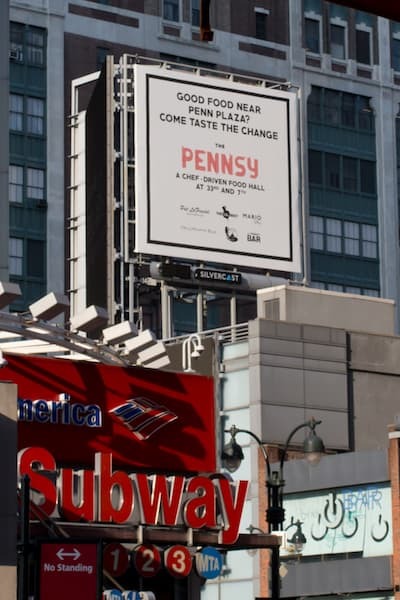 The obvious starting point (or end point, depending on your trip) is The Pennsy (2 Penn Plaza), a small but mighty food hall at street level above Penn Station. While it doesn’t have quite the sprawling variety of other markets, the choices here are solid: veggie bowls and rolls from The Little Beet, doughnuts from the Cinnamon Snail, the same dearly departed meatballs they used to serve at Citi Field at the Pat LaFrieda stand. Double bonus points for the fact that it’s open all day, even during the weird mid-afternoon hours where freelancers like me are often caught without true lunch options, and for the full stand-alone bar with cocktails, wine, and beer. The post-work scene can get a little cramped and frantic on nights when the Garden’s hosting a concert or game, but it’s a lifesaver more often than not. 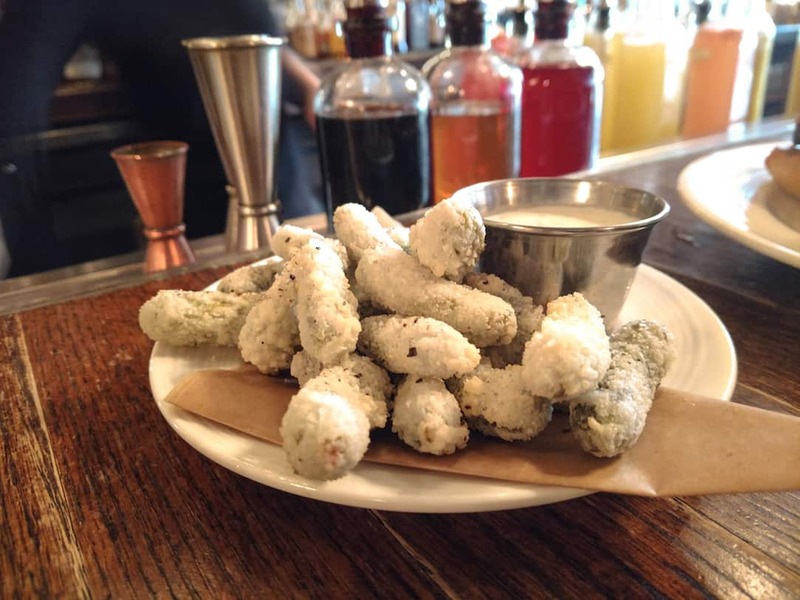 Fried pickles aren’t an unusual bar snack these days, but at American Whiskey (246 W. 30th St.), they do you one better: instead of dill spears or rounds, this Southern-influenced spot serves fried cornichons. Why more bars don’t get in on this particular trend is beyond me, but when I have an hour to kill, I’ll likely be here with a plate of these salty little buggers and a pint of Other Half or another local beer. 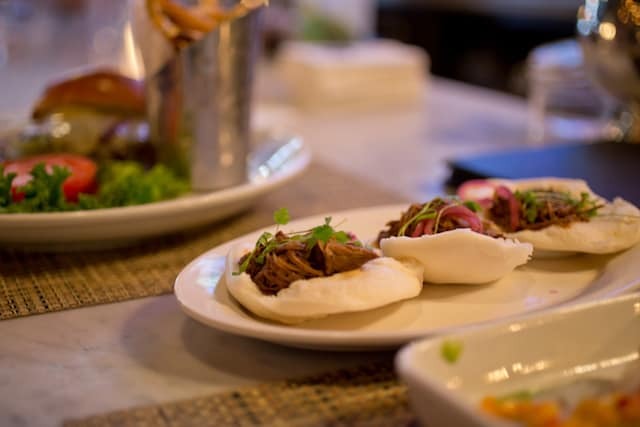 The spot is blessedly chill at lunchtime and throughout the afternoon, though its proximity to Penn Station and the Garden makes it more of a bro hang around happy hour and into the early evening. Despite its slightly formal menu and presence within the Eventi Hotel, L’Amico (849 Sixth Ave. at 30th St.) is in fact a friendly and welcoming spot. I would return again and again for the garlicky clam pizza (again with the clams! 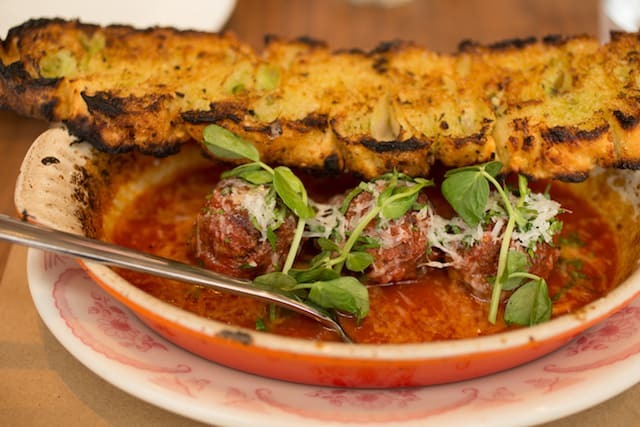 ), exquisitely charred from the wood oven, with honorable mention given to the bubbling ramekin of meatballs (yes, more meatballs—sense a trend in my snacking?) that come with a generous focaccia slab. Just remember that this place closes down from 2:30 and 5:30 pm, so you’ll be denied your afternoon snack of roasted peaches and prosciutto if you stroll up between those hours. 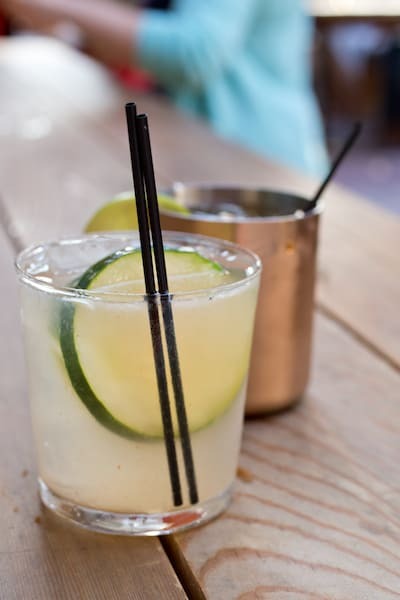 For a bar where you won’t need to worry about being bothered while you house your burger and Korean beef buns, sneak into Pennsylvania 6 (132 W. 31st St.) among all the besuited martini drinkers blowing off the day’s office crises. The Jasper Hill cheese-topped burger might be $19, but it’s big enough to divide down the middle; the crudo could be cut with a little more finesse, but it’s a generous portion of quality fish; and—best of all—the raw bar has dollar oysters every weeknight from 5:00-7:00 pm. These are all well and good for lunch and dinner options, you say, but what about breakfast in this part of town? Hit up Friedman’s (also 132 W. 31st St., next door to Pennsylvania 6), one of the fast-multiplying outposts of the Chelsea Market deli, for omelets, pastrami hash, bennies, and (duh) sandwiches. If you’re stopping by later in the afternoon, a burger and a beer combo is $19. While the common areas of the Ace Hotel on 29th St. and Broadway are pretty much always overrun and the Breslin is a madhouse, the John Dory remains an oasis of awesome. Or there’s Koreatown, AKA the entire stretch of 32nd St. between Sixth and Fifth Avenues, which is a parade of banchan, bulgogi, buns, and karaoke. It’s a host unto itself and probably deserves an entire post of its own. Anyone up for the challenge?